I love Hannibal Lecter to a degree that’s kind of unhealthy. I remember being fascinated with the trilogy of films “Silence of the Lambs” “Hannibal” and “Red Dragon” and the book series back when I was in Junior High. 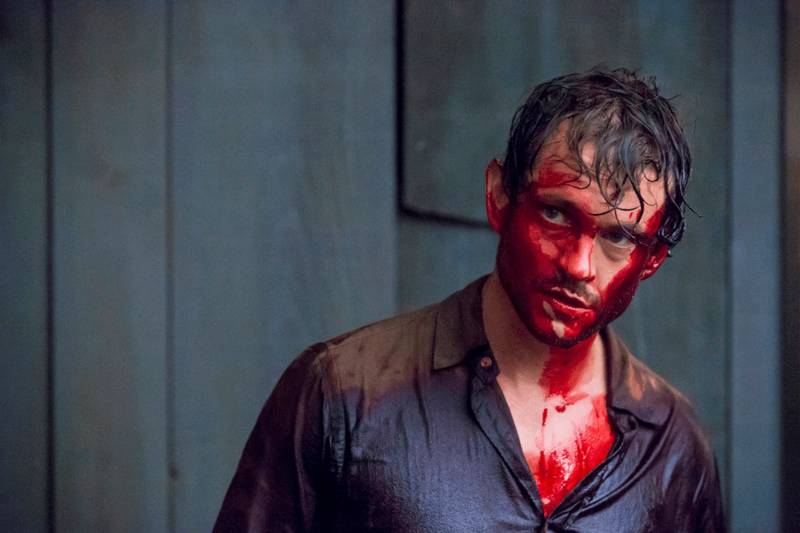 That morbid giddiness was rebirthed when NBC began airing THE “Hannibal.” It’s a bit of an understatement to call the grisly network show far better than anyone could have possibly predicted. The series is a disturbing, dark and gory work of art. It’s just as intelligent as it is brutal and although the ratings are OK at best, it’s still managed to garner a devoted fan base. There’s something to be said about that. 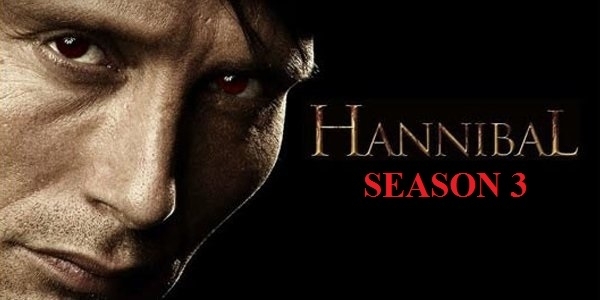 As the third season of “Hannibal” airs, I’ll be writing up these little Bite-Size articles with my thoughts on an episode or episodes as they proceed. Without further ado, it only makes sense that this write-up should be structured like a meal within itself. SPOILERS do follow, so you have been warned. Now, now, Hannibal, stop playing with your food! Appetizers: The first season of “Hannibal” was effectively the best Killer of the Week shows that’s ever hit the airwaves, but the second season is where the series seems to have hit its stride. Focusing on a deranged cast of the characters and boasting a sophisticated sense of suspense, one can’t help but see the appeal in this show. I was going into the third season opener of “Hannibal” with some mighty high expectations. The second season finale was devastating beyond words; lives were lost, Will betrayed Hannibal’s trust and lots of blood was shed. Imagine my surprise to find that the series has taken a decidedly artsier turn for its opening episodes, and that’s not necessarily a good thing. I came looking for suspense, killers, cannibalism, and nasty twists. Instead, I received a bit of a cannibalism, but not much more. It seems as if the third season has offered recovery time for the viewer after that tough-to-watch finale and what the producers should have immediately realized was what a mistake that was. Our recovery time was the year-long wait for the series to return. We shouldn’t have to wait any longer. Not to sound like Veruca Salt, but I want blood and I want it now! (don’t care how). Main Course: Onto the actual plot of these opening two episodes themselves. “Antipasto” decides to give the fans what they want and focus exclusively on Hannibal living in Italy. However, the reason that “Hannibal” is such an awesome show is because it focuses on a wildly diverse cast of characters whom all happen to be linked to a cannibalistic serial killer. This first episode flashes between Hannibal and his former-psychiatrist-turned-wife Bedelia, a black-and-white conversation between Hannibal and Eddie Izzard (that takes place in the timeline of Season 2), and Hannibal stalking a new potential meal… er, I mean, victim. It’s all surprisingly standard stuff, even though it’s executed with visual flair. I couldn’t help but feel that this was all filler. Beautiful looking filler, but filler nonetheless. I was disappointed to say the least. Episode 2, “Primavera,” makes the same mistake but on the far more likable Will Graham. We flash between Will’s recovery, imaginary conversations with the now-deceased Abigail (Will’s former girlfriend whom was mercilessly killed in front of him in the second season’s finale), and Will now living in Italy while searching for Hannibal. 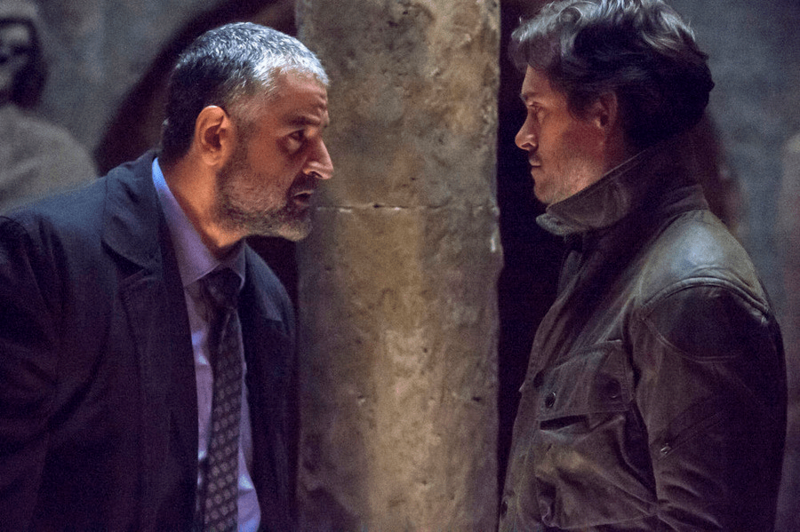 Though the first and second of these plot points feel just as standard and filler-y as the previous episode, Will’s presence in Italy brings about the introduction of a familiar face from “Hannibal” (the third book in the series and the final installment in the films’ chronological story line): Rinaldo Pazzi! Pazzi receives a pretty insane death in both the book and the film (the latter containing Anthony Hopkins asking him the crucial question of: “Bowels in or bowels out?”). It turns out that Pazzi was investigating the serial killer nicknamed “Il Monstro” that was none other than Hannibal himself twenty years prior. This is a tie-in to “Hannibal Rising” (a cash-in on the series that should be ignored by most), but that’s not necessarily a bad thing. Seeing as Pazzi has latched on to Will, I wouldn’t doubt that a gory demise isn’t too far away. I also particularly dig the final lines of this episode… but more on that with Dessert. Don’t worry. It’s not my blood. Well, not all of it. Dessert: Will has supposedly forgiven Hannibal, which is what Hannibal wanted. However, I’m pretty sure that this is all a ploy to capture our favorite cannibal genius. After all, we do have the “Red Dragon” story line tying into this season about halfway through. I already predicted that Pazzi will meet a nasty end, but I’m also calling that Hannibal’s relationship with Bedelia is far more twisted than originally let on. A future victim comments that Bedelia’s dish (made of almonds, oysters, etc.) is something that the Romans would feed their livestock to make them tastier. 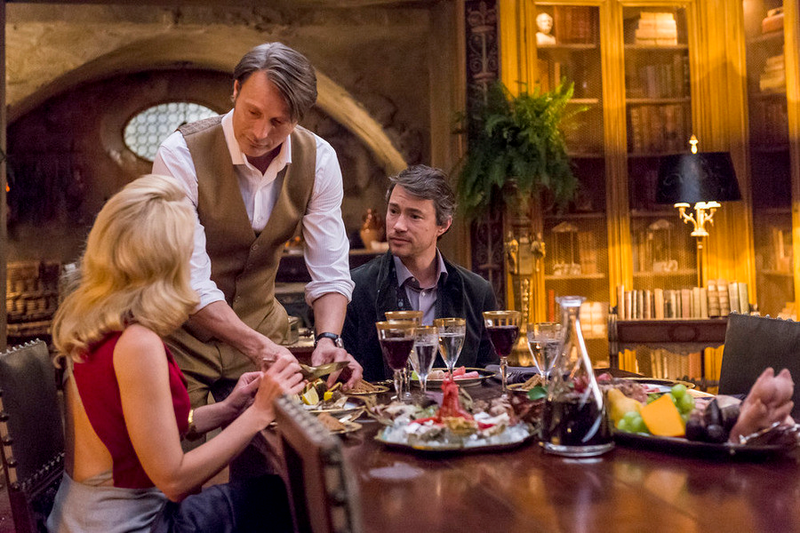 Is Hannibal going to eat Bedelia? 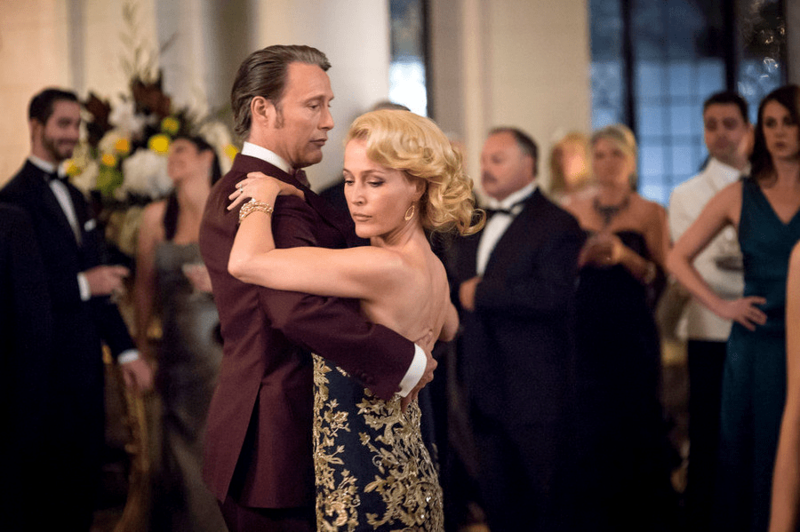 That’s not out of the realm of possibility, but is Bedelia a willing dish for our title killer? That’s a far more twisted and disturbing thought indeed. Anyway, I hope you enjoyed my opinion on the opening two episodes. I will return in two weeks with my thoughts on Episodes 3-4, which should hopefully offer up far more story and far less time-wasting filler. Tagged Antipasto, Bedelia, Eddie Izzard, Hannibal, Hannibal Lecter, Red Dragon, Red wine and fava beans, Silence of the Lambs, Veruca Salt, Will Graham.